I’ve been away for a while, doing too much writing for work and not enough of my own here and elsewhere. In the mean time, we have had a few new faces around the yard. I looked out an upstairs window one day and saw this creature in the yard, picking at a chicken carcass I had left out to entice the other visitors (see below). I thought to myself “That’s a big sparrowhawk!” being the only bird of prey I have seen in the wild really (others have been from the falconry center). Of course, I knew this was not a sparrowhawk: it was much bigger, browner, with impressive pantaloons. I have seen buzzards around, but none had ever come into the yard. Others, or this same one, have been back either on the ground or hovering about in the trees. I think they have been attracted by the noise of the other new visitors. Yes, we now have our resident crow family. I would say there are about 4-5 of them hanging about in the trees of a morning, talking continuously to each other. They come down into the yard, but are very skittish. Any movement from the house and they are off, with the magpies, jackdaws, pigeons and collared doves, all in a united flap heavenwards. They, along with the buzzard, can be seen lazily flying over the yard, seeing what’s on offer. They are usually the first thing I hear in the morning. 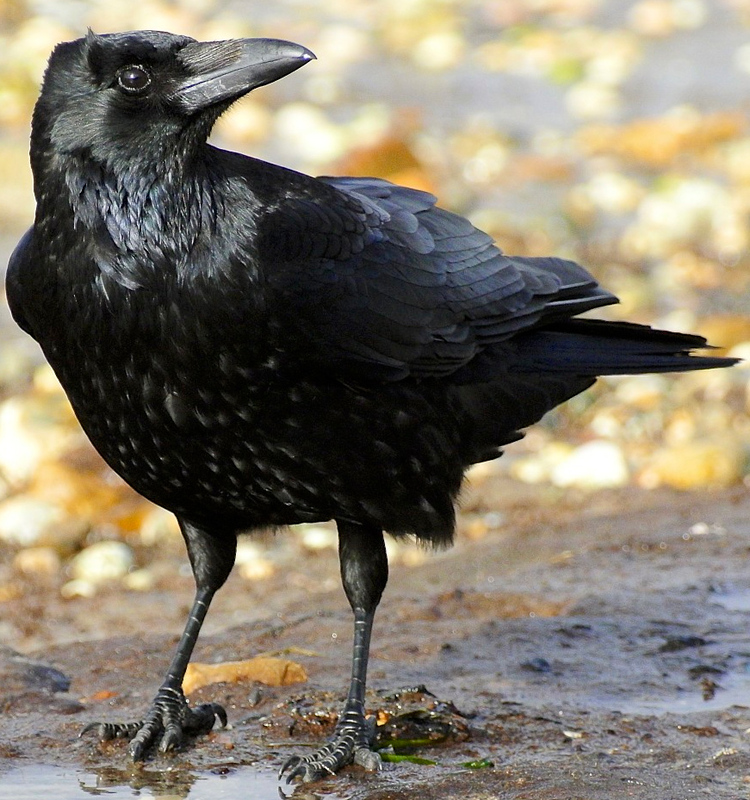 I tell you, crows are quite the talkers. My mother’s crow family is only marginally braver. We spent thanksgiving in New England, which allows for a lot of bird watching, the star of the show as seen below, and not on a plate on the dinner table but roaming around alive and kicking in my mother’s back yard. The first thing I have to say about turkeys is that they are bigger, taller than you would think. There is whole flock that wander my mother’s neighborhood year round, which means she also gets to see the babies as well. We never saw turkeys in the wild when I was growing up, and there was a reason for this. When Europeans first settled in Massachusetts, wild turkeys were plentiful throughout the state. With an increasing population, however, over-hunting occurred and forests were gradually cut down for farmland, thus eliminating the turkey’s habitat. 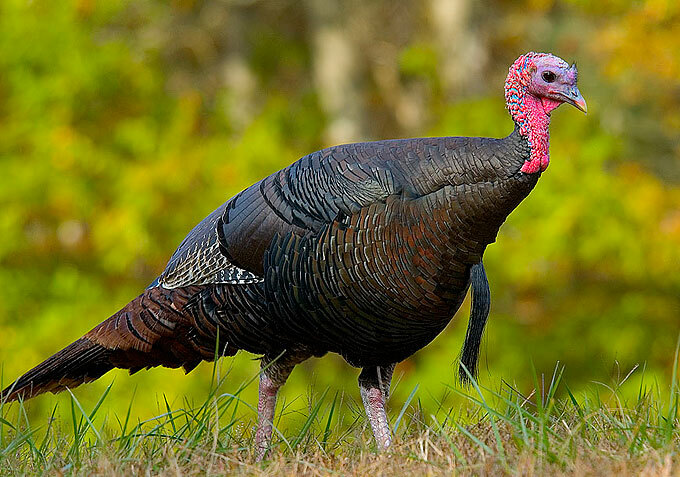 In 1851, the last wild turkey in Massachusetts was killed on Mount Tom. I have to say I saw more birds of prey in New England than I do here, more of a variety. Sitting at a traffic light, for instance, I saw a drama unfold in a driveway: there was a visible commotion in a small shrub, some winged creatures careering through it. It soon became obvious that a small bird of prey, a falcon or hawk of some kind, probably a merlin, was in pursuit of a songbird. All of a sudden, the song bird broke free of the shrub, unfortunately to be followed closely by the merlin. They both crashed into another shrub, the songbird desperate to lose its shadow. I never saw the end, as the lights turned green. Speaking of dramas and the BBC, I have to say that my feelings have been quite mixed about Dynasties, the David Attenborough-fronted 4-parter, focusing on chimps, penguins, lions, painted wolves, tigers. The production and camera teams did excellent work getting the footage, and my favorite part of the series has been the end bit about how they actually went about getting it. But, and it’s a big but, the rest of the episodes were excessively over-produced and orchestrated: Disney meets Game of Thrones. The feeling of emotions being manipulated was intense. For example, the penguin episode was for me, almost unwatchable. I felt more emotional watching the film crew at the end digging a ramp for penguins and their chicks stuck in an icy gully, than the shots of a baby in a blizzard wandering around lost with violins on hand to coax the tears if the images didn’t. I know why they do this, but it doesn’t work for this viewer. Like you, I hate those overdramatizations, but it seems the trend in the nature shows. I’ve witnessed events like your song bird-escaping (or not…)-the-predator and I don’t always see the end. Maybe I don’t want to. 🙂 Wild turkeys are really fun to see; I have to agree with Ben Franklin that they’re rather regal birds. Turkeys are surprisingly large creatures, I remember very well my daughter (aged 6?) being chased around a farmyard by one. She is now largely vegetarian. I cant watch BBC wildlife programmes, they are just too overblown and emotionally manipulative for my taste. Ah, your poor daughter, to be emotionally scarred like that. Regarding the BBC, it’s such a shame because they do get amazing footage that really could stand on its own.